You've spent countless hours developing your eLearning course. You've even gone to great lengths to establish an online presence and start building the launch buzz via social media. However, all of your efforts will be in vain if you fail to choose the right eCommerce platform for you. In this article I will discuss the different types of eCommerce platforms for your eLearning course, in order to help you narrow down your list of possibilities. Additionally, I will discuss some key factors to keep in mind before making your final decision. Selecting an eCommerce platform is one of the most important aspects of selling your eLearning course online, but it also happens to be one of the most challenging, thanks to the sheer abundance of platforms available today. In the following article you can explore the various types of eCommerce platforms for your eLearning course, so that you can find the one that is ideally suited to your needs. I will also offer you advice on how to choose the right eCommerce Platform. This type of eCommerce platform is usually reserved for larger projects with big budgets to match. It offers a vast array of features and functions, but may not necessarily be within the price range of eLearning freelancers or smaller firms. It typically offers personalized shopper experiences, custom site designs, and mobile capabilities. An example of an enterprise eCommerce platform would be Magento. 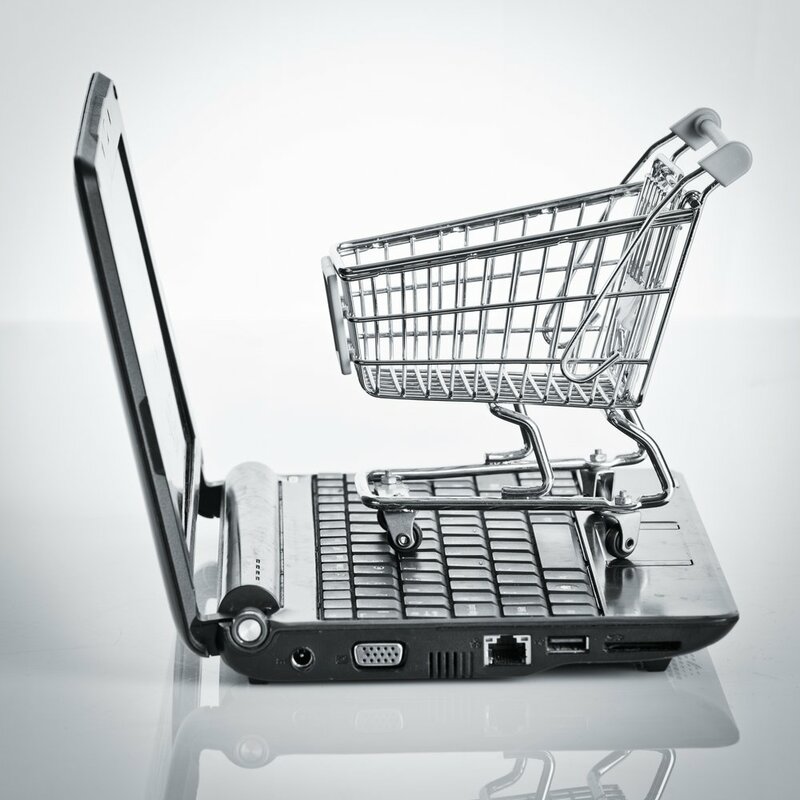 A hosted eCommerce platform often offers the best of both worlds. It requires little maintenance, which means that you won't have to spend a great deal of time or money to upkeep. It is also quick and easy to set up, meaning that you start selling your eLearning course as soon as possible. A hosted platform involves a monthly fee, but they will host your site as well, which is a big plus, especially for eLearning professionals who want to focus on their eLearning course design and development rather than building an eCommerce site from scratch. Examples of Hosted eCommerce platforms include Shopify and Highwire. If you're looking for a simple and straightforward eCommerce platform that is extremely affordable, but may lack some features and capabilities, then you may want to go with a basic eCommerce solution. These types of platforms are easy to use and deploy, and are ideal for eLearning professionals who only want to offer a handful of eLearning courses on their site or blog. They don't come with a hosted eCommerce site, however, so you will either have to pay for a website to be designed or take care of it on your own in order to start selling. An example of a Basic eCommerce platform is SendOwl. These eCommerce solutions are free and user friendly, which is ideal for those who may be new to the eLearning market. The only trouble is that you really won't have access to professional customer support should you need assistance with set-up or sales issues, as the only form of support you'll get with Open Source platforms are community forums. In addition, you are required to download the software and install it on your system, which may be proved to be a difficult task for those who aren't familiar with eCommerce software. An example of an Open Source eCommerce option is osCommerce. An add on or plug in eCommerce solution can be a great alternative for eLearning professionals who already have a WordPress site or any other type of blogging platform that allows access to plug ins. This will transform your site into an eCommerce shop where you can sell your eLearning courses. In some cases you may have to purchase the plug in, while others are completely free to install. Examples of Add-on eCommerce solutions are WooCommerce and Easy Digital Downloads. Last, but not least, is the custom-built eCommerce platform, which includes all the bells and whistles you may require. However, the extra features and personalization do come at a cost. In fact, this is usually the most expensive eCommerce solution, as it will seamlessly integrate with your existing site and include all of your branding. So, if you find that none of the eCommerce platforms offer the exact features or functionality you truly need after extensive research, then it may be worthwhile to look into a customized eCommerce solution for your eLearning course sales. Regardless of what type of eLearning course you are planning on selling, it is wise to choose an eCommerce platform that specializes in digital downloads and offers you the best value for your money. Ultimately, you will want to find one that meets your specific needs and doesn't offer a myriad of unnecessary functions that you really won't be using to sell your eLearning course, as this will reflect in the sign up fee or monthly costs you'll be paying out of pocket. Before you go in search of the perfect platform, get an idea of exactly how much you are willing to spend each month on its upkeep, as well as how much time you can devote to the set up process. Also, think about how you want to host your site. Do you want the platform to integrate with an existing eLearning site, or can it be hosted by the eCommerce solution? For example, if you have a site that you've been cultivating for years, then you may want to eliminate all hosted eCommerce platforms from your list, as they will not allow you to sell your eLearning course directly from your site via a shopping cart feature. If you plan on selling your eLearning course directly through your eLearning website, choosing the best eCommerce platform is well worth the time and effort. Use this article as a guide to help you find the solution that offers you the features you want and the functionality you need. Once you've narrowed down your list of choices, it's time to take a closer look at what each eCommerce solution can offer. Read the article Boost Your eLearning Course Sales: 5 Tips To Choose An eCommerce Platform which highlights 5 top considerations you will want to keep in mind when selecting your eCommerce platform, from scalability to overall customer experience. Are you looking for the perfect payment gateway for your eLearning course? Read the article 7 Tips To Choose The Perfect Payment Gateway For Your eLearning Course where I share 7 tips and tricks on how to choose the best payment gateway for your eLearning course, without being involved in a costly trial and error.